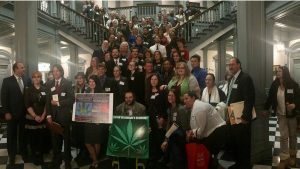 Our staff is all volunteer, but we need the resources to stand up to the well-funded opposition lobbying against cannabis legalization in Delaware. Your contribution to Delaware CAN helps fund public education and Town Hall events, outreach and advocacy programs, and all of our efforts to legalize cannabis for the citizens of Delaware. Delaware CAN is a grassroots organization with an all-volunteer staff. Dedicated advocates have fueled the movement in the First State and positioned Delaware to legalize cannabis in 2019. But our work is not finished and we need supporters from across the state to take action in their communities to ensure that our legislators follow the will of the people and pass legislation to legalize cannabis for all adults. Your $25 membership helps fund our operations and programs aimed at legalizing cannabis in Delaware in 2019 and advancing common-sense cannabis policy reform in Delaware and nationwide.